← Will Pakistan and Pakistanis Protest and Boycott Turkey For This Hijab Right Violation??? There was a fundamental error in the application of this strategy and there still is. 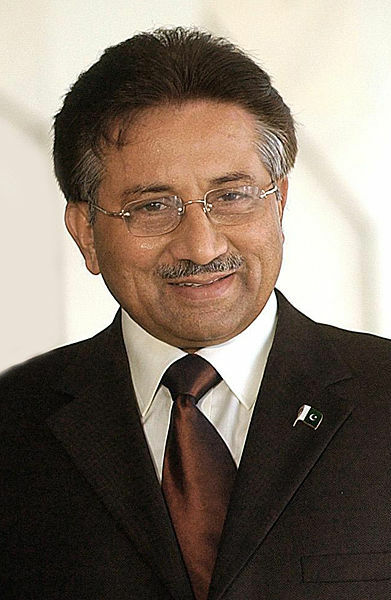 United States cannot deal all the issues of global politics with justice because justice would mean going against the interest of the country in many cases or against the interest of the many strong lobbies like AIPAC, which will not happen by the theories of Pervez Musharraf. More interesting, Musharraf’s theory was published in the Washington Post in 2004, and in 2003 our US troops were ordered to occupy Iraq based on made up “facts,” basically lies. Muslims also can’t follow his interpretation of moderation in Islam, because first Muslims in general have no knowledge about the teachings of Islam. He admitted that “…Muslims are probably the poorest, most uneducated, most powerless and most disunited people in the world…” and without the proper understanding of Islam, Muslim youth will always be open for the various groups to be used for their agendas. During his tenure he did little to reform the educational system of Pakistan, which is another very evident evidence of the lack of sincerity of all the Pakistani administrations, including his and the present one. If Musharraf really wanted to see Pakistanis to progress in moderation, the curriculum of the education system of Pakistan would have included more courses on Islamic sciences that had provided a proper and authentic interpretation of Islam to the Pakistani Muslim youth. This would have limited the reliance of the Pakistani Muslims to seek even basic understanding of Islam from Maulvis or derogatory referred as Mullahs. In fact, he took a contrary course of action. He went onto the reformation of the Madaris (plural of Madrasa- a Islamic seminary), an attempt that has failed in all the previous administrations. The result is that the Pakistanis are now further polarized on racial lines, political lines, and even about the ideology of Two-Nation theory, the sole reason and argument based on which Pakistan came into being in August, 1947. Islam is a way of life, and it is moderate if practiced and established appropriately. Musharraf did not do that, in fact based on his actions it felt to many that he just wanted to see Islam less in public. Labels like liberals vs. conservative took ground and conservative came to mean as religious fanatics, and liberals came to mean as people against Islam. The glimpse of it can be seen at many Pakistani blogs. I think even Zulfiqar Ali Bhutto’s innovative and contradictory slogan of “Islamic Socialism” did not hurt Pakistan to this extent than the slogan of Enlightened Moderation by Pervez Musharraf. What I am worried now is that if he takes over Pakistan again, the conflict of ideals will just take a step further! Pervez Musharraf when controlled the reign of Pakistan, he told the world that his role model was Kemal Ataturk. Role models are important to understand the person, because it tells us about that person’s ideals and values. Role Models are the example to be emulated by that person. If he had stated that his role models were Umar ibn al-Khattab, 2nd Khalifa of Muslims known for his administration skills and justice; or Tipu Sultan, for his religious tolerance and freedom struggle against British colonialism of India in 18th century; or Harun al-Rasheed, an Abbasid Khalifa whose rule (786 to 809) marked for scientific, cultural and religious prosperity; it would have probably changed the course of Pakistani history. His practical approach would also have been different. Despite of many great heroes and reformers in the history of Muslims, Pervez Musharraf said that his role model was Kemal Ataturk. 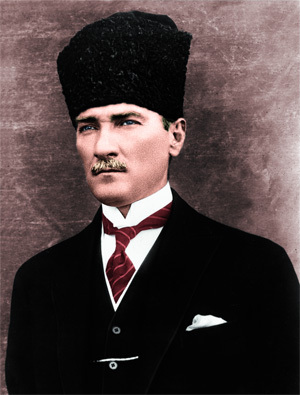 Mustafa Kemal Ataturk was the founder of the modern-day Turkey. He abolished the remnants of the system of Khilafat (caliphate) and reformed Turkey on secular lines. This is not the only problem though. The greater issue is the response of the Muslims of Hindustan to the changes to the Ottoman Turkey created by the Treaty of Sèvres, which divided the Ottoman empire and distributed its territories to the Allies of WWII. The Hindustani Muslims launched the Khilafat Movement under the leadership of Ali Brothers- Maulana Mohammad Ali Jouhar and Maulana Shaukat Ali– to preserve Ottoman Caliphate, to resist division and distribution of the Ottoman territories to France, Britain and other allied forces. With the collapse of Khilafat Movement due to political differences among Hindustani Muslims, and Ataturks secularization of Turkey, the Ali Brothers joined the All India Muslim League and became the leading figures of the Pakistan Movement. A sign that the support for the Pakistan movement came from people who believed in a Muslim state with Muslim character and to which Pervez Musharraf gave a severe blow. The reformation of Turkey by Kemal Ataturk besides secularization included, abolition of Arabic, conversion of Turkish language from Arabic alphabets into Latin alphabets, ban on men to have beard and on women to veil themselves. The Adhan (the Muslim call for prayer) was changed from Arabic into Turkish, going against the tradition of the Prophet Muhammad peace be upon him. Pervez Musharraf’s reformation might not be the same as Ataturk’s reformation but the Pakistani society has culturally drifted away from cultural Islam at a very fast pace during his 8 dictatorial years than any other moment in the Pakistani history. The present heightened debate over the Islamic character of Pakistan among the intellectuals and the masses, the unprecedented fashion show in Karachi and many other such debates and events are the product of the reformation through his Enlightened Moderation theory. This rapid change in the society has just added more tensions in the already polarized nation of Pakistan. For example the following his reasoning on abolishing the Caliphet. The question also remains unanswered as to why he did not accept the seat of Claiphet when he was offered and asked to take the position and the tile of Caliph. The absurd ideas which ignorant people like Shukri Hodja and his companions were disseminating about the actual condition prevailing in the world under the power of “religious prescriptions” with the intention of abusing our nation, are not worthy of being repeated here. 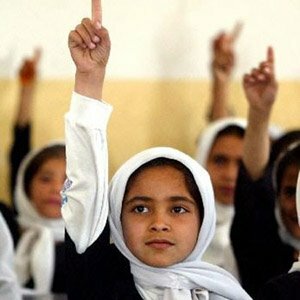 In the course of centuries there have been people and there are still people to-day in the interior as well as in foreign countries who profited by the ignorance and fanaticism of the nations and try to make use of religion as a tool to help them in their political plans and personal interests. The fact that there are such individuals unfortunately compels us again to go into this question. So long as the sentiments and knowledge of mankind with regard to religious questions are not yet freed from myths and purified in the light of true science, we shall find historians everywhere who play a religious comedy. We must actually belong to those “beings who live wholly in God,” like Shukri Hodja, not to be enlightened about the absurdities of the illogical ideas and impracticable prescriptions which they sow broadcast in all directions. If the Caliph and Caliphate, as they maintained, were to be in vested with a dignity embracing the whole of Islam, ought they not to have realised in all justice that a crushing burden would be imposed on Turkey, on her existence; her entire resources and all her forces would be placed at the disposal of the Caliph? According to their declarations, the Caliph-Monarch would have the right of jurisdiction over all Mohamedans and all Mohamedan countries, that is to say, over China, India, Afganisthan, Persia, Irak, Syria, Palestine, Hedjas, Yemen, Assyr, Egypt, Tripolis, Tunis, Al geria, Morocco, the Sudan. It is well known that this Utopia has never been realised. The pamphlet itself signed by Hodja Shukri emphasises that the Mohamedan communities have always separated from one another under the influence of aims that were diametrically opposite to one another; that the Omayades of Andalusia, the Alides of Morocco, the Fatimides of Egypt and the Abbassides of Bagdad have each created a Caliphate, that is to say, a monarchy of their own. In Andalusia there were even communities embracing a thousand souls, each of which was “a Commander of the Faithful and a Torch of Faith.” Would it have been logical or reasonable to pretend to be ignorant of this historic truth and to designate under the title of Caliph a ruler destined to govern all the Mohamedan States and nations, some of which were independent, while most of them were under a foreign protectorate? Particularly the fact that a mere hand full of men consisting of the population of Turkey, burdened with the anxiety of supporting such a sovereign, would it not have been the surest means for strangling this people? Very good, but suppose these nations whom we want to subject and administer would say to us: You have rendered great services and assistance to us for which we are thankful to you, but we want to remain independent. We do not suffer any body else to interfere in our independence and sovereignty. We are capable of leading and administering ourselves. If the delegates of these hypothetical independent Mohamedan States would unite in a congress and declare that this or that relation ship has been established between certain States, that a committee had been formed for the purpose of maintaining such mutual relations and securing joint action under the conditions established by these relations that the Mohamedan States united in this manner would be represented by the president of this committee, then they will, if so desired, give to these United States of Islam the title of Caliphate and to the person elected to be president of this united assembly the title of Caliph. Kemal Attaturk will always be remembered as a black spot in the History of Islam. Former President of Pakistan Pervez Musharraf is sharing his expert opinion over US-Pak nexus.